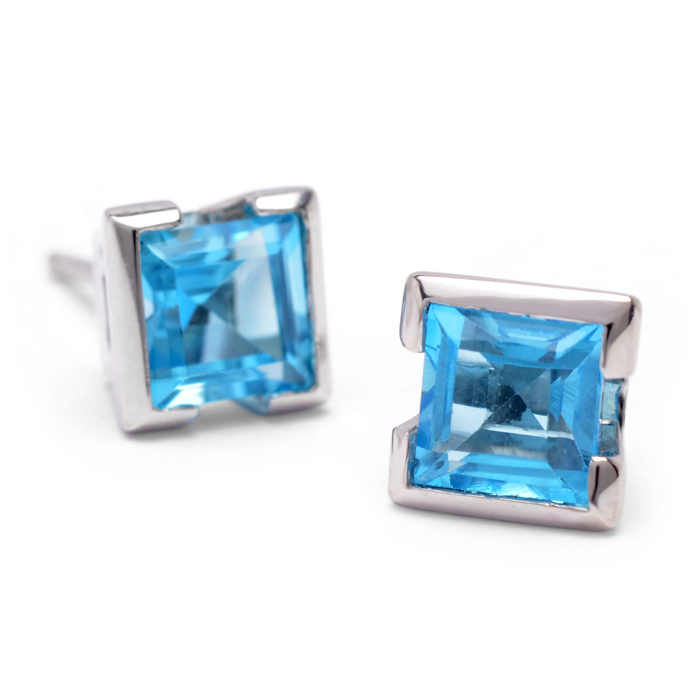 Commissioned as a 21st birthday gift alongside a matching ring. 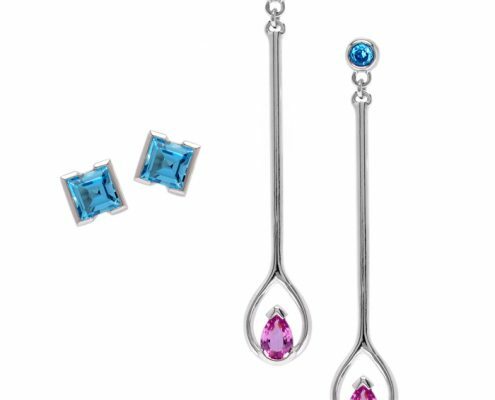 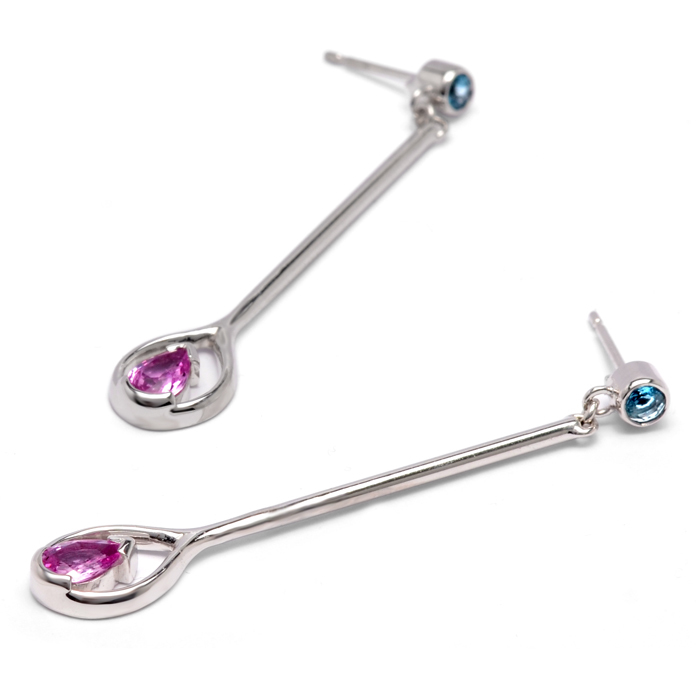 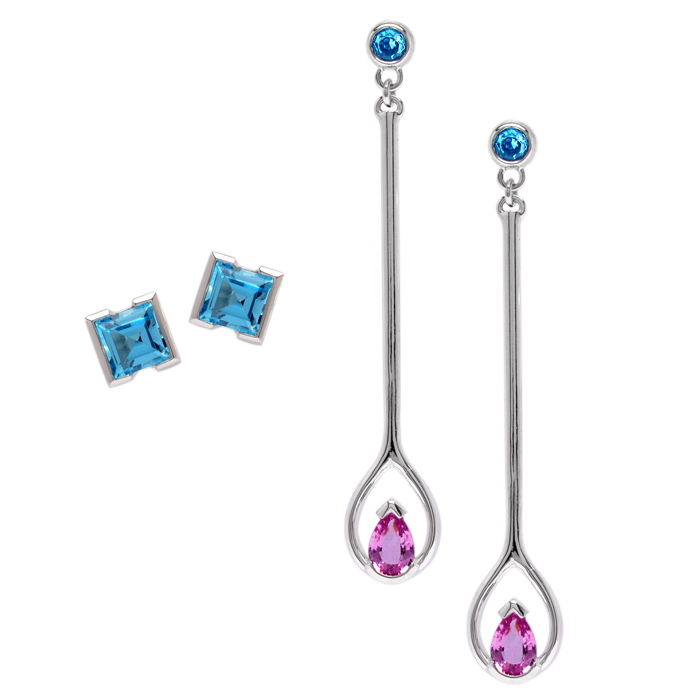 The long drop ‘evening-wear’ earrings feature demi-flush set 1ct pear faceted natural Pink Sapphire, accented with 0.60ct round brilliant full bezel set Swiss Blue Topaz. 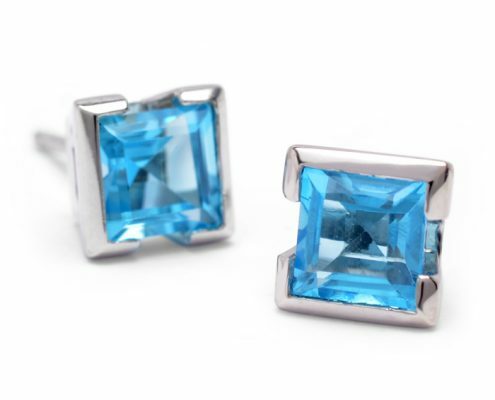 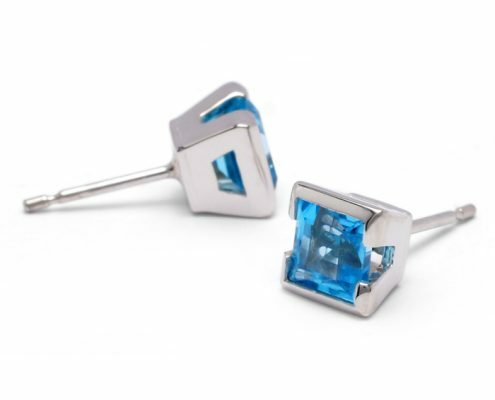 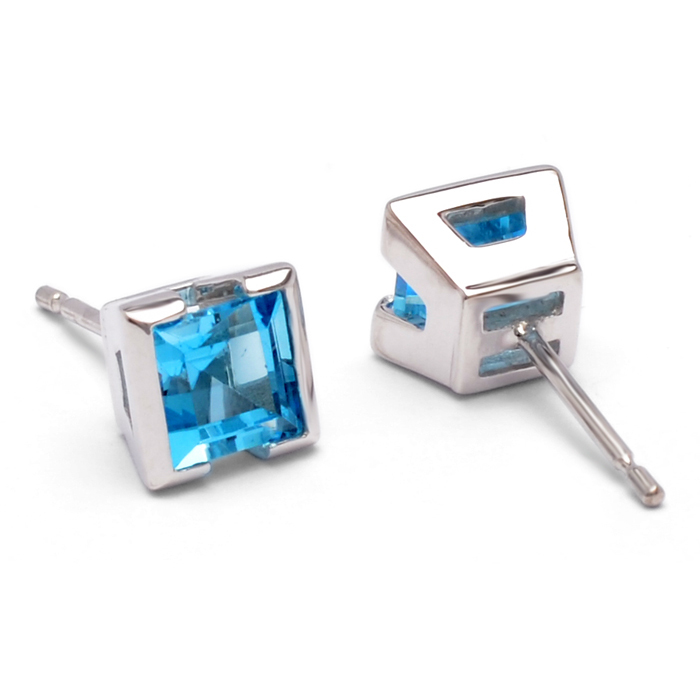 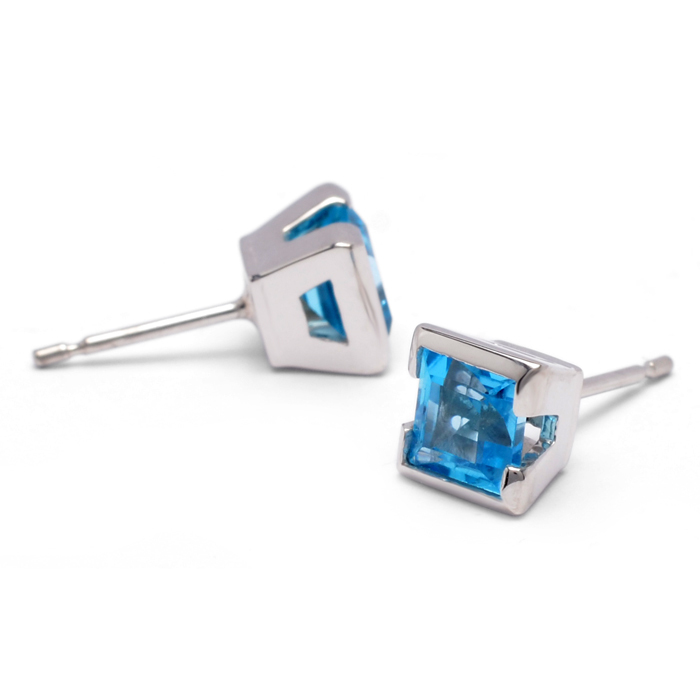 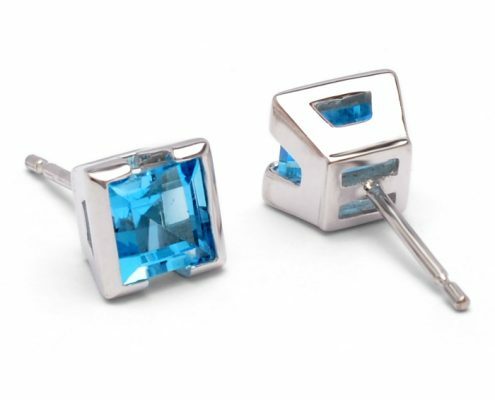 Simple square demi-flush set studs featuring 4ct princess cut Swiss Blue Topaz were designed as everyday wear complimentary earrings. 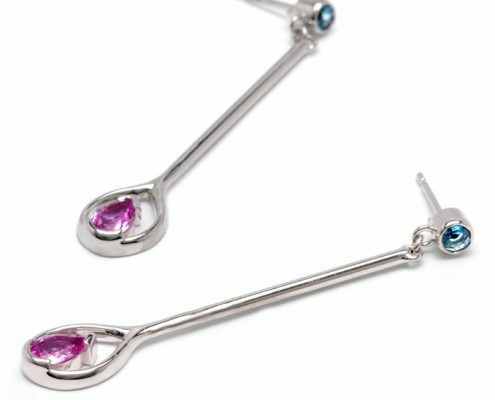 All made in Sterling Silver with scroll backs.